Jenny Gahagan is seen in a booking photo. LADERA RANCH, Calif. -- A 36-year-old Orange County woman was arrested on suspicion of driving under the influence after crashing a golf cart. 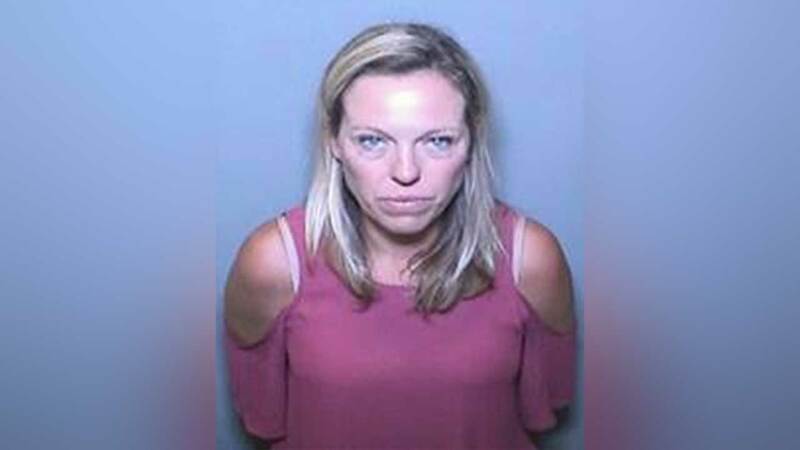 Jenny Gahagan of Ladera Ranch was arrested late Thursday night after she crashed an electric golf cart, authorities said. Three other women were in the golf cart with Gahagan. All four suffered minor injuries, officials said. According to the California Highway Patrol, Gahagan was driving the golf cart just before midnight when she tried to make a left turn at an unsafe speed. Gahagan was booked at the Central Women's Jail for felony DUI and released on bond.